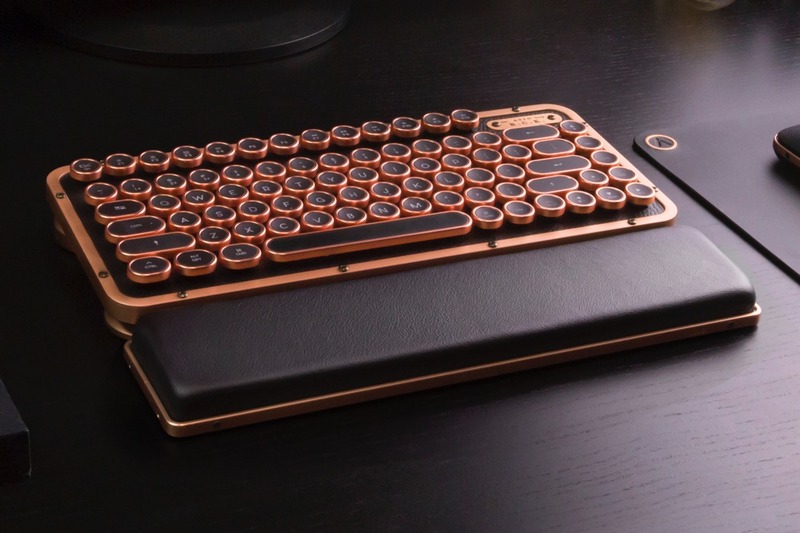 Today’s mechanical keyboards often carry a technological, edging-towards-medical aesthetic, with precise lines and geometric forms being as present as ever! 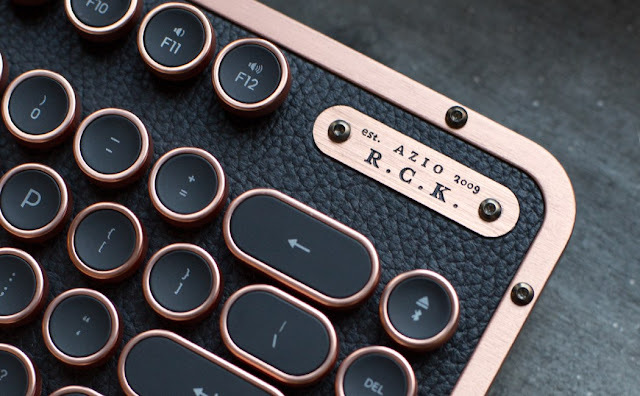 However, the same cannot be said for the RCK (Retro Compact Keyboard), where modern technologies and retro styling collide and create a nostalgic piece of kit! 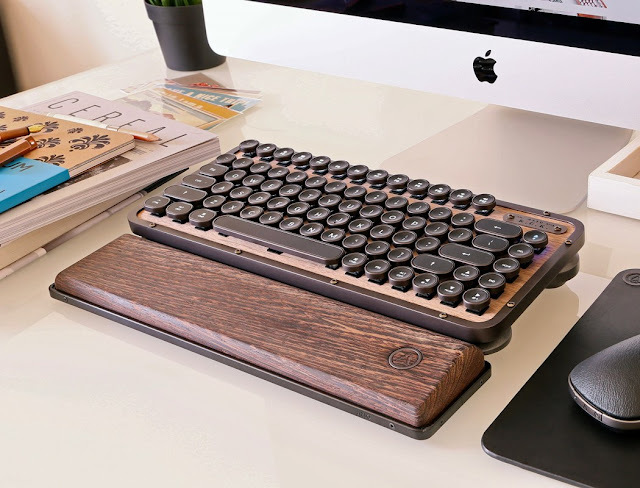 The timeless design may be what grabs your attention, but it’s the beautiful integration of modern technology that will keep it; ‘Blue’ mechanical keys offer tactile feedback that is both hugely satisfying and reminiscent of typewriters back in the day! LED backlights gently illuminate the keys, adding to the beautiful blend of modern and retro design. 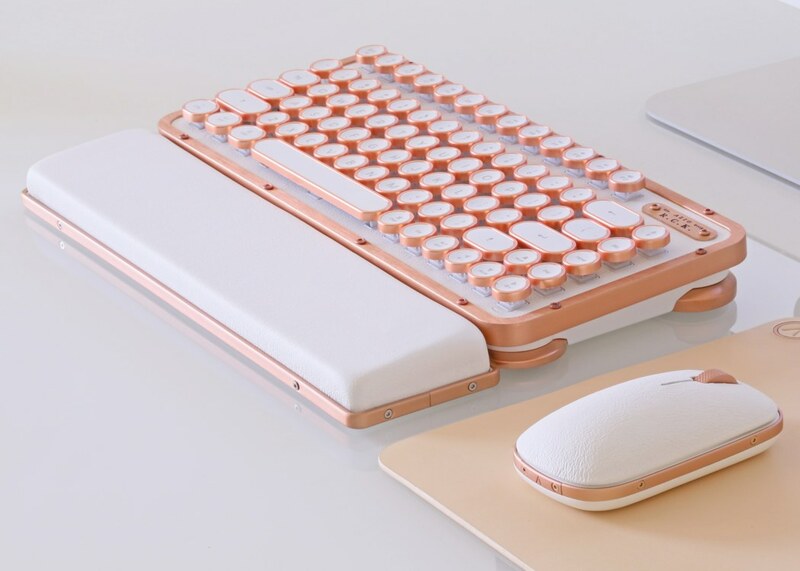 Complimenting the keyboard is an equally as alluring mouse. 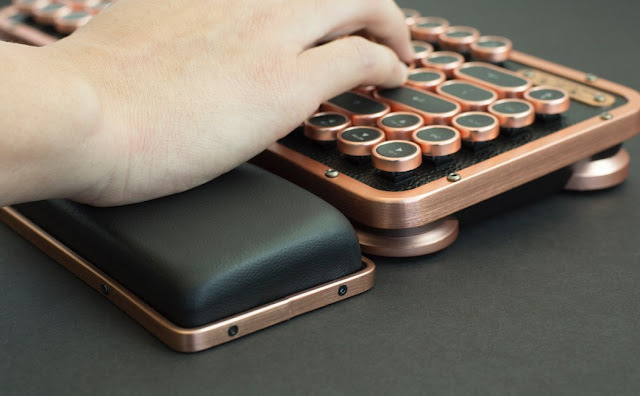 Just like the keyboard, it too is available in a wide selection of colors and finishes that range from the warmth and culture of genuine leather through to the striking-boldness of artisan copper! 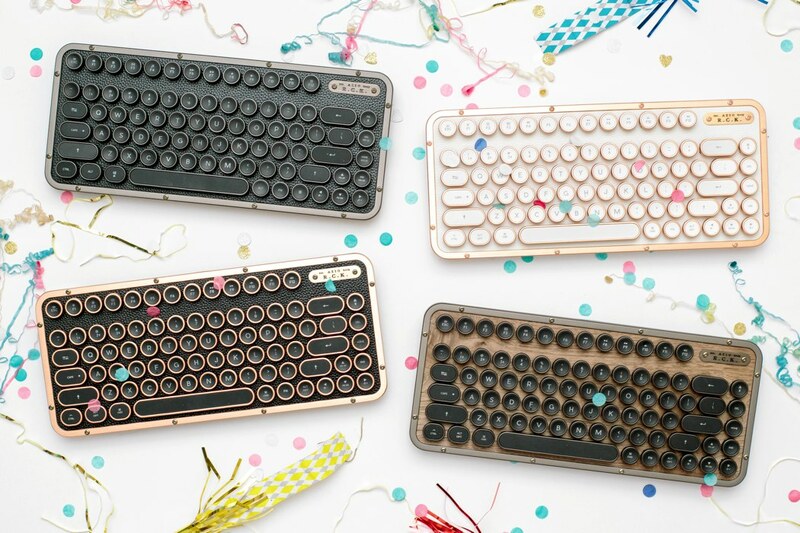 Whether it’s destined for a life in your home as an elegant addition to your interior design, or a replacement for your conventional (and boring) keyboard in your office, the retro design is bound to keep you smiling! Leather and wood have always been associated with premium customized goods and exclusiveness. It reflects taste, craftsmanship, and culture while emitting a unique charm that inspires. The RCK frame is forged from a solid piece of aluminum alloy to give it robustness and durability. Hex bolts are added for structural enhancements and to add an industrial vintage element. 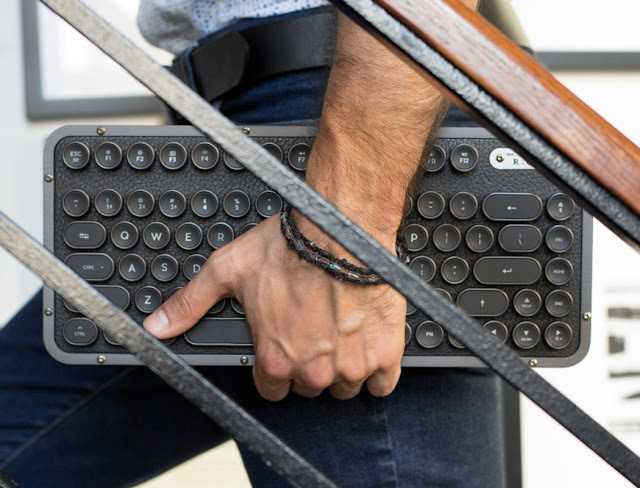 Supports both Windows and Mac keyboard layouts. Includes 18 keycaps corresponding to Windows and macOS. 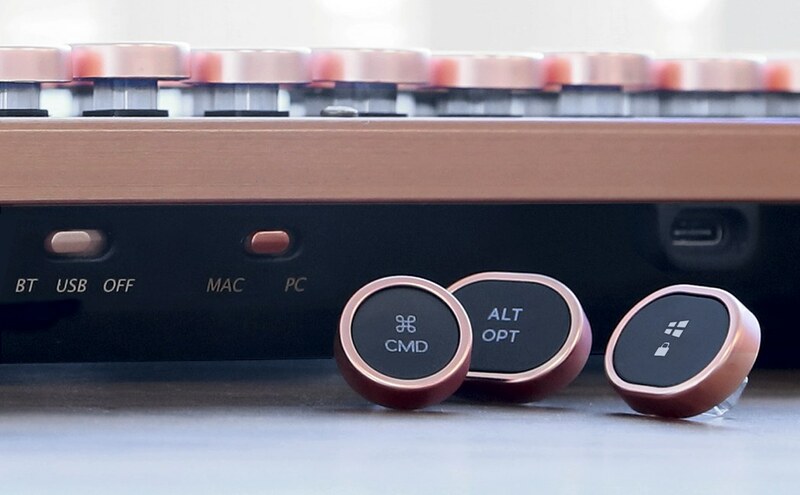 Select your desired OS and replace the keycaps accordingly. 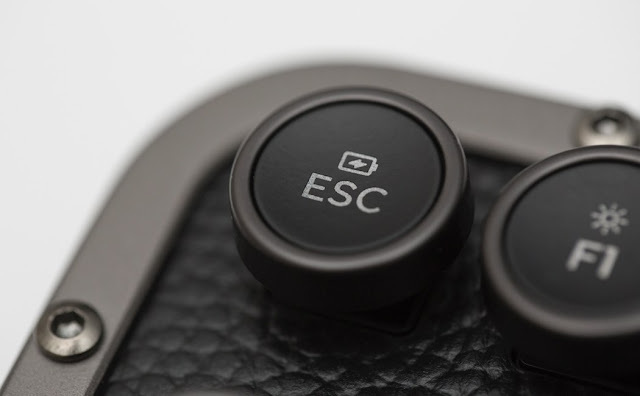 Connect via wireless Bluetooth or wired-USB. When USB mode is selected, simply connect the included USB-C cable to the computer and type away. Built-in is a high-capacity 5,000mAh lithium-ion rechargeable battery. With the backlight off, usage time is about 9 months. With the backlight on, approximately 1 to 2 months depending on backlight intensity and usage frequency. A matching palm rest utilizing the same premium material and design language is included. 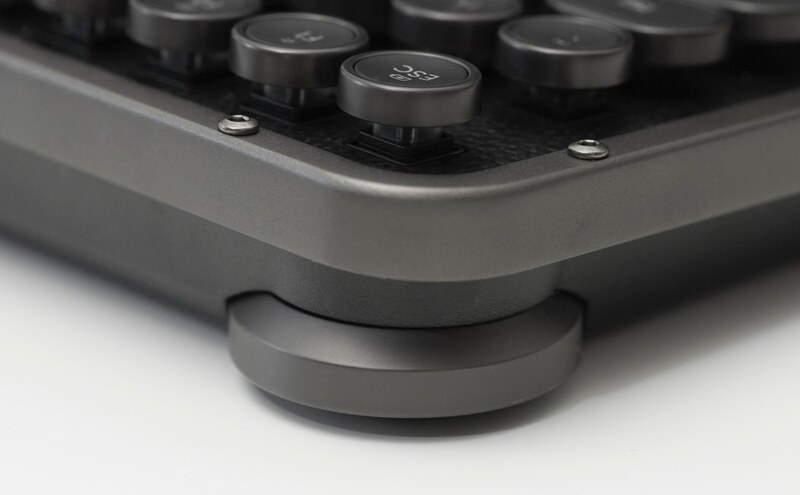 Two sets of interchangeable feet with different heights are included to enhance the ergonomics of your typing position. Vintage inspired and packed with modern features, the Azio Retro Classic Mouse is the perfect companion for your Retro Compact Keyboard. Built with premium leather and contrasting alloy frame, this retro mouse renders a sophisticated and timeless impression. Versatility is accentuated with its ambidextrous design and ability to work on virtually any surface. 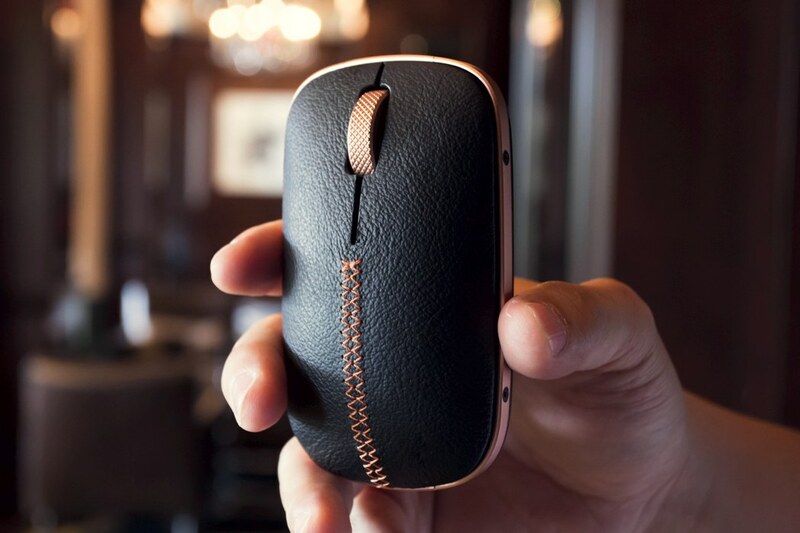 Available in different design themes, the RC mouse is well suited for both mobile and stationary lifestyles.